Battery capacity is available from 4000mah,6000mah,8000mah to 10000mah,use the best level polymer lithium ion battery, grade A, passed all necessary certificates, like CE, Rohs, UL, FCC, and so on. 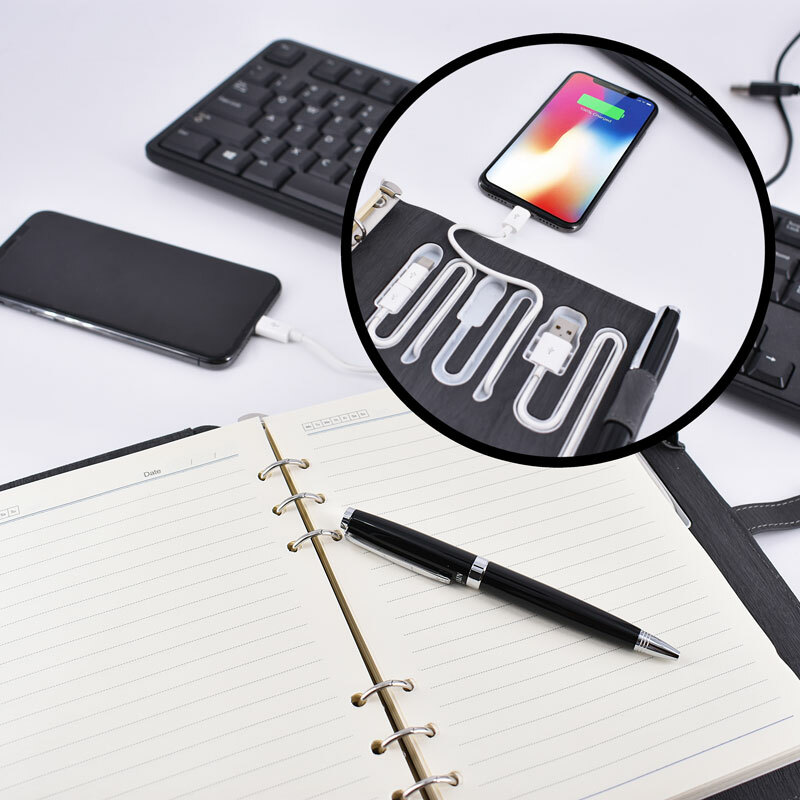 It is real capacity data, over 80% efficiency, as a sample, full 8000mah battery can charge an iPhone 5 for 4 times, a Samsung Galaxy S6 for 2.5 times. 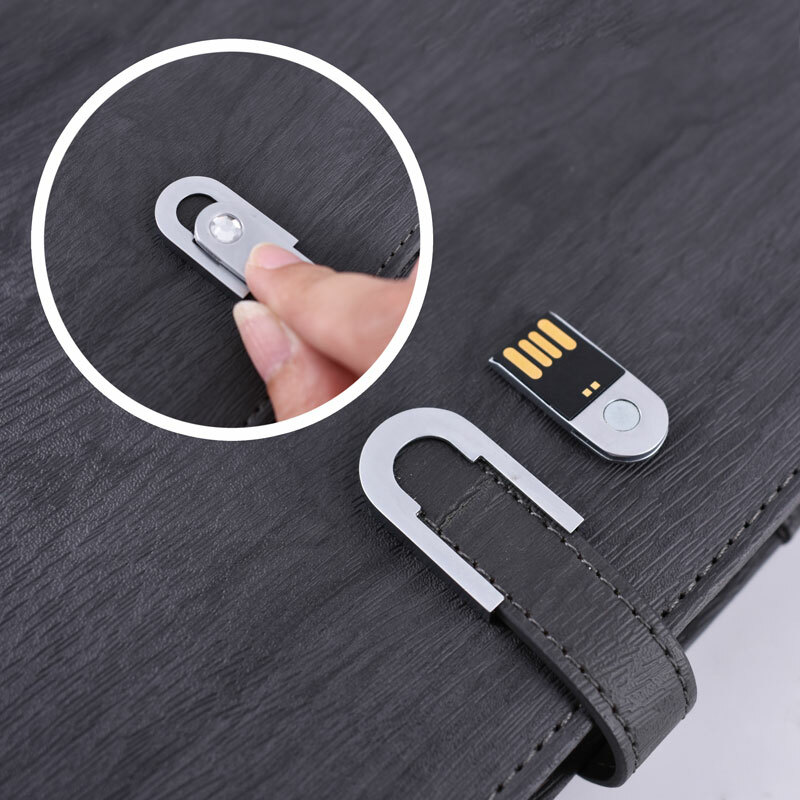 USB flash drive capacity is available from 4gb,8gb,16gb,to 32gb,magnetic lock on the notebook. 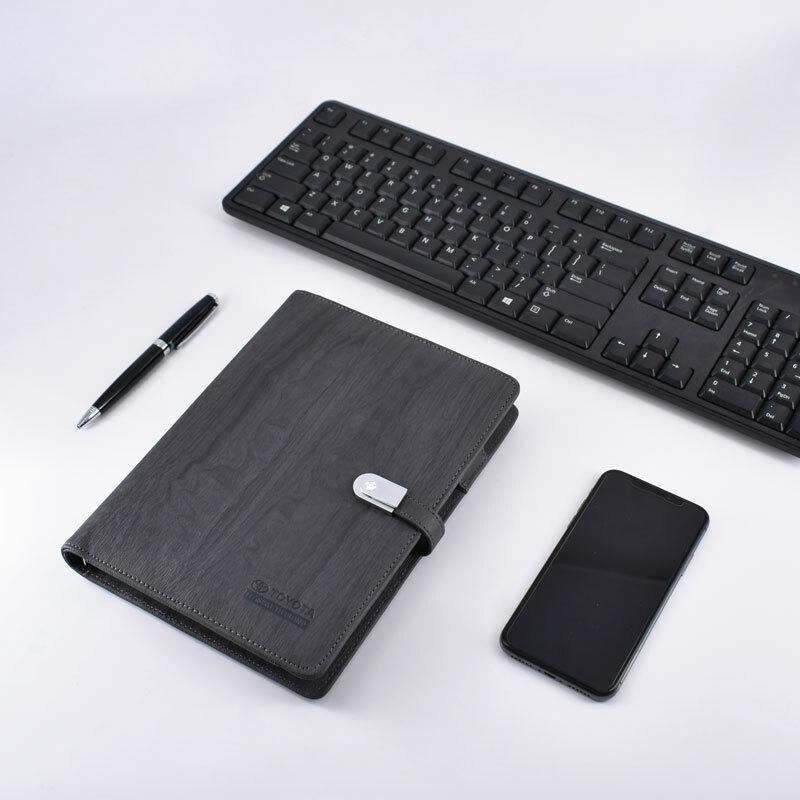 All materials and functions can be customized. 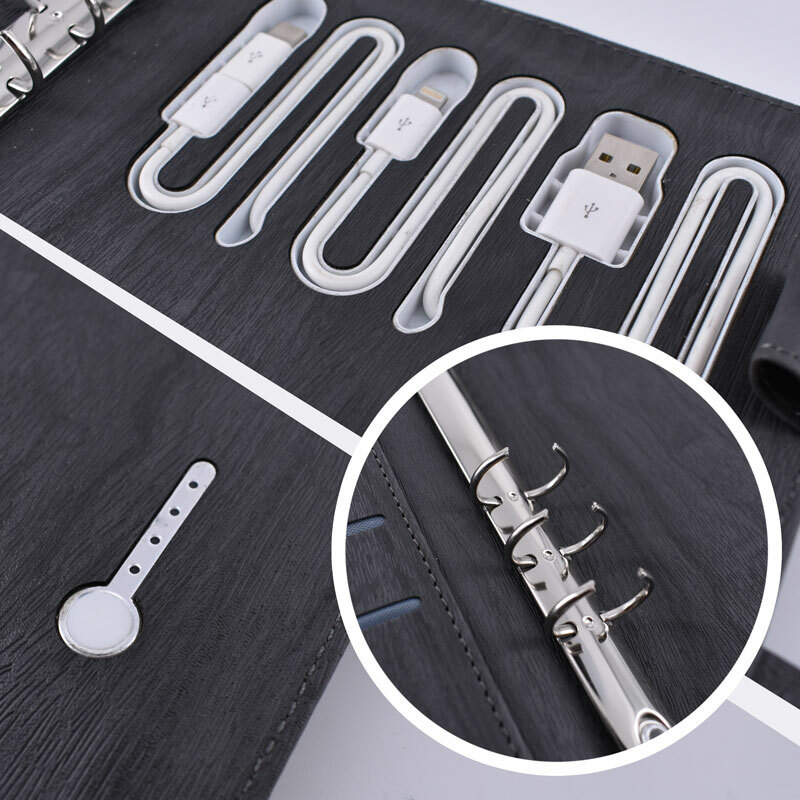 Includes logo, color, power bank, USB flash drive, pen, calculator, card insert, paper, loose leaf binder, phone case and ipad mini holder. Stainless steel loose-leaf 6 ring binder, filled with 60 to 100 sheets of lined papers,5.5x8.2 inches, ½ inch ring capacity can hold maximum 100 sheets. 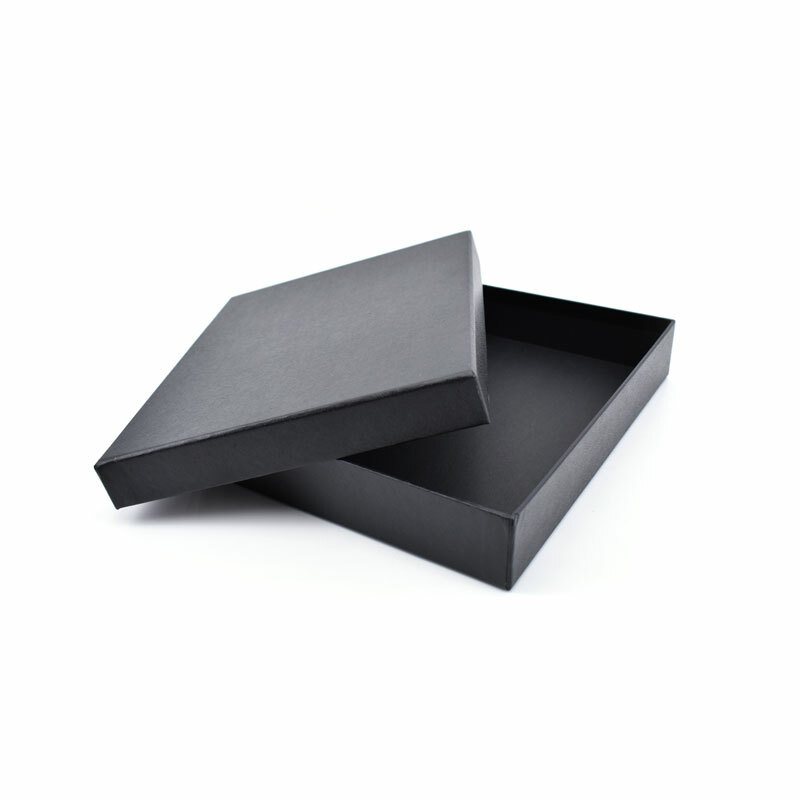 High quality and good feeling PU or real leather materials, professional handmade surface finishing, creative gift box packaging. The output power is 5v/1.5A,can charge ipad, camera, GPS and fast charge most smart phones, like Apple Iphone, Samsung Galaxy. Interior 6 protection protects the batteries from damage due to getting knocked, dropped or crushed. Over-voltage protection, over-current protection, over-charge protection, over-circuit protection, over-power protection and over-heat protection. -Not just a notebook, but also a power bank. -Built-in 8000mAh battery, can be used as a power bank. -3 charging connector, fit for most of cellphone. 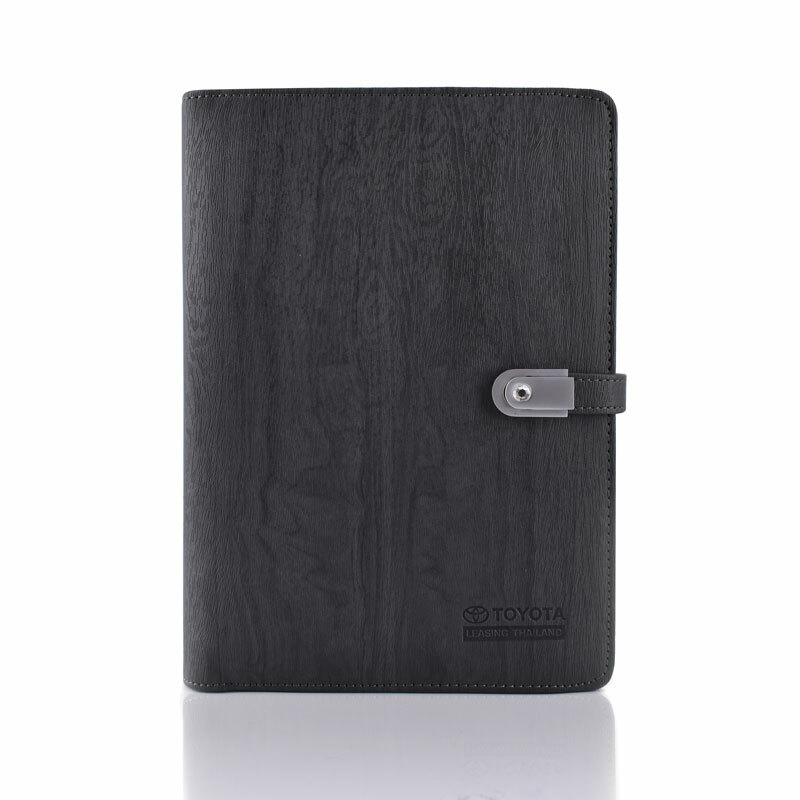 -Notebook design, easy to carry. -A great gift for business man. 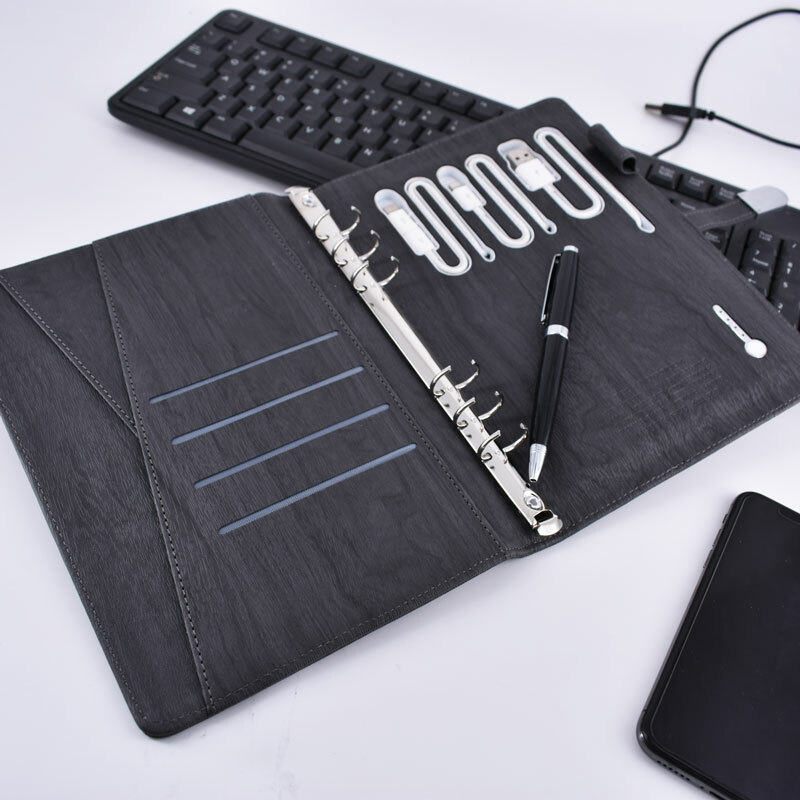 Plaro is the inventor of notebook with power bank products, we always focus on developing new innovation products for our customers all over the world.